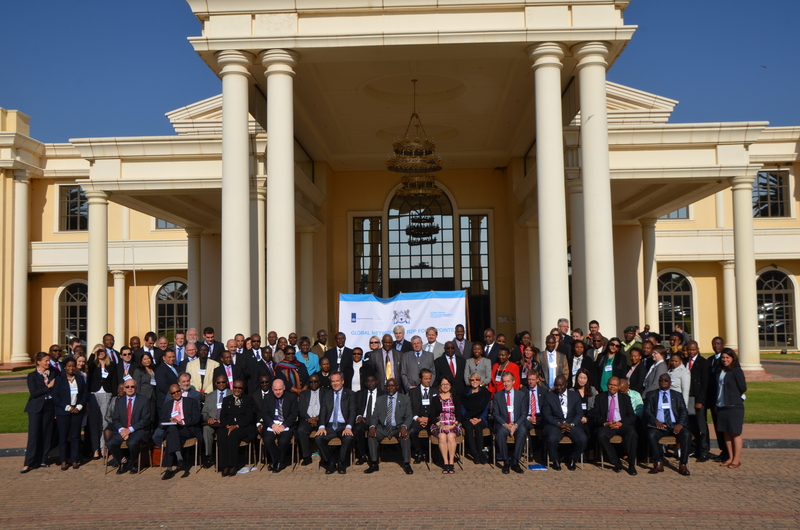 Representatives of more than 30 governments met in Gaborone, Botswana for the fourth annual meeting of the Global Network of R2P Focal Points on 12 and 13 June. The meeting was co-hosted by the governments of Botswana and the Netherlands in cooperation the Global Centre for the Responsibility to Protect. The Minister of Foreign Affairs H. E. Mr. Phandu T. C. Skelemani opened the meeting and encouraged participants to deliberate on how we can effectively implement R2P to prevent mass atrocity crimes. The Attorney General of Botswana, Dr Athaliah L. Molokomme also attended several sessions of the meeting. This was the first meeting of the Global Network to be held in Southern Africa. The meeting was attended by several SADC member countries, including South Africa, Democratic Republic of the Congo, Zambia, Angola and Namibia. Representatives from elsewhere in Africa, as well as from the Americas, Europe and the Asia-Pacific region also participated. It was noted that the Global Network of R2P Focal Points now includes 41 countries, with Mozambique and the Republic of Korea being the newest additions. The Global Network had 29 members when it last met in Ghana during June 2013. The focus of the Botswana meeting was capacity building and R2P including the impact of security sector reform, rule of Law and understanding the legacy of mass atrocities in communities affected by mass atrocity crimes. The sessions were designed to provide participants with an opportunity to share best practices. The importance of responsive judicial systems that include both formal and traditional elements and the importance of memorialization, reparations and accountability for affected communities were discussed at some length. Participants also reflected upon the role of business in the commission and prevention of mass atrocity crimes.